Author Janet Frame’s maternal grandparents lived in Picton, and Frame visited them when young. 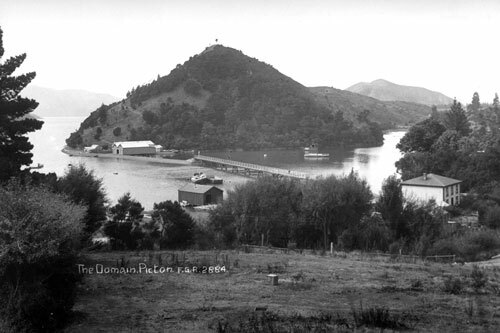 At that time a lagoon extended from what is now the main Picton marina inland towards Waikawa, and provided the setting for one of Frame’s first published stories, ‘The lagoon’ (1951). The upper reaches of the lagoon – seen here in 1911 – were reclaimed in the early 1950s to create the Victoria Domain war memorial park.